FEATURES: Increases hovering stability and eliminates forward flight pitching. Offers much more adjustability and accepts a wide variety of blade hub widths. Constructed of lightweight and durable molded plastic. 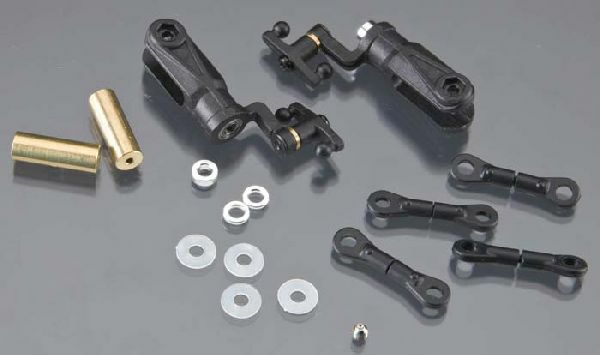 INCLUDES: Blade grips with preinstalled mixing arms, ball links and bearings linkages, spacers and fly bar weights. REQUIRES: Installing on rotor head.